This ultra-light feathered Dress event headpiece attaches with an elastic band worn behind the hair. Just like the "Flapper Girls" wore in the Roaring 20's. "Some Like It Hot" style. Stays in place and won't come off until you want it to. 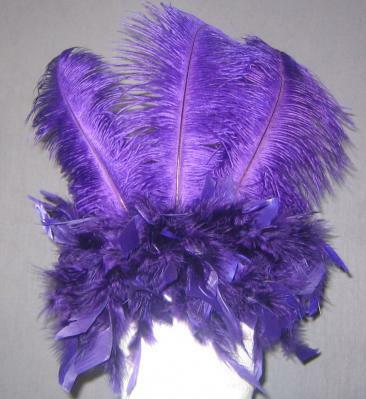 These are the best quality feathers and is available in Red Hatter colorswith the red base and purple topfeathers.